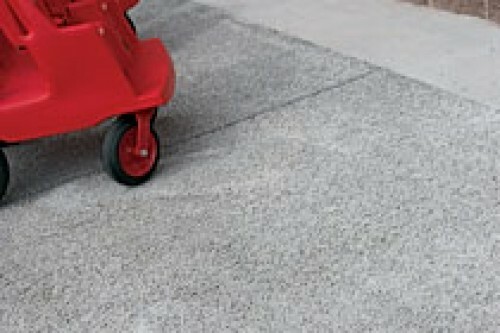 Pervious Concrete Technology Also known as no-fines or low fines concrete, pervious concrete is a mix of portland cement, coarse aggregate, water and admixtures. Because there is little or no sand in the mix, the pore structure contains many voids that allow water and air to pass through. Pervious Concrete Advantage New federally mandated storm water management regulations are in effect making pervious concrete systems a viable solution. While EPA recognizes pervious concrete as a Best Management Practice (BMP), building owners are realizing better land utilization and LEED credits with pervious concrete parking lots. Pervious concrete applications can be used as an alternative to complex drainage systems and water retention areas reducing storm water runoff.